After much anticipation, the 2016 MTV Video Music Awards are almost here. One of the best parts of the show happens before any awards are actually handed out — the red carpet. That's when you get to see everyone's outfits, as well as who's attending with who. Since Chance the Rapper is nominated for Best Hip Hop Video, you may be wondering if he'll have a special someone as his date. 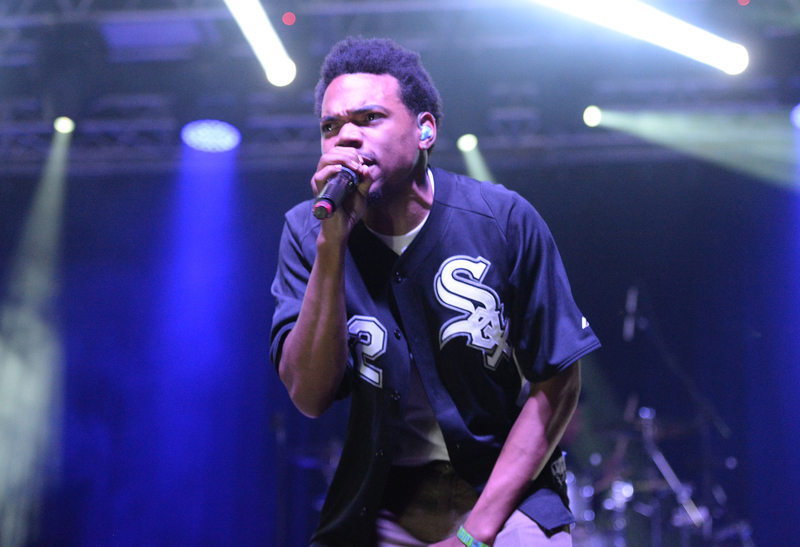 In other words, is Chance the Rapper single? It turns out that the Coloring Book rapper has two special ladies in his life — one being his longtime girlfriend and the other is their daughter. For those of you who are big fans, you may know that Chance's girlfriend is Kirsten Corley. Or maybe you had no idea, since for the most part he keeps his personal life pretty private. According to the International Business Times, the rapper recently dedicated a freestyle to her that he posted on Twitter. Lyrics include "I got the baddest chick on the planet" and "The only chick I hold as much is probably Kinsley." BTW, Kinsley is the couple's daughter, who was born in 2015. In the video, the camera then pans to who's presumed to be Corley. She covers her face and laughs. This isn't the first time she's been the subject of his songs. Chance also mentioned his girlfriend on his album. In the song "All We Got" from Coloring Book, he says, "Man my daughter couldn't have a better mother / If she ever find another, he better love her." But in case you're wondering, they're not engaged. Here's another line in the same song: "Tryna turn my baby mama to my fiancée / She like music, she from Houston like Auntie Yoncé." This definitely tells fans quite a bit — like where she's from and that Chance thinks she makes the best mother. He'd also like to spend his life with her, but no proposal has happened yet. According to Billboard, Chance and Corley have been together since 2013. And more recently, Corley was by his side when he recorded Coloring Book . The rapper told GQ that his girlfriend and their daughter slept in the studio with him most nights. He also admitted that having their daughter helped bring the couple closer together. While for the most part Chance keeps his relationship with Corley under the radar, he does show his love through his music. And fingers crossed they make their red carpet debut at Sunday's VMAs.